 Fully detailed list of all our custom features can be found here. At this point of the year we would like to thank all our members for being part of our community over the past years and more, as well as wish you and your family happy holidays from the whole team. May this Christmas be cheerful and filled with love and may the new year bring you new achievements! Offer ends on December 31st at midnight. We will be performing a scheduled maintenance on Tuesday, December 11th at 3:00 AM UTC. During this period, all servers will be unavailable. We anticipate the maintenance to last approximately 1 hour, concluding at around 4:00 AM UTC. Visit our forums for more information. 1. Restart your game client and let it auto-update to the latest patch version. 2. 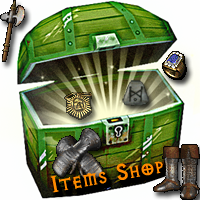 Download our latest realm patch from here and select your game folder. 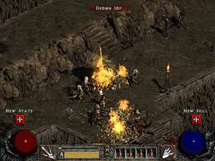 We are pleased to announce that the Diablo II ladder has been successfully reset today 13th of April, 2018 and a new season has started. 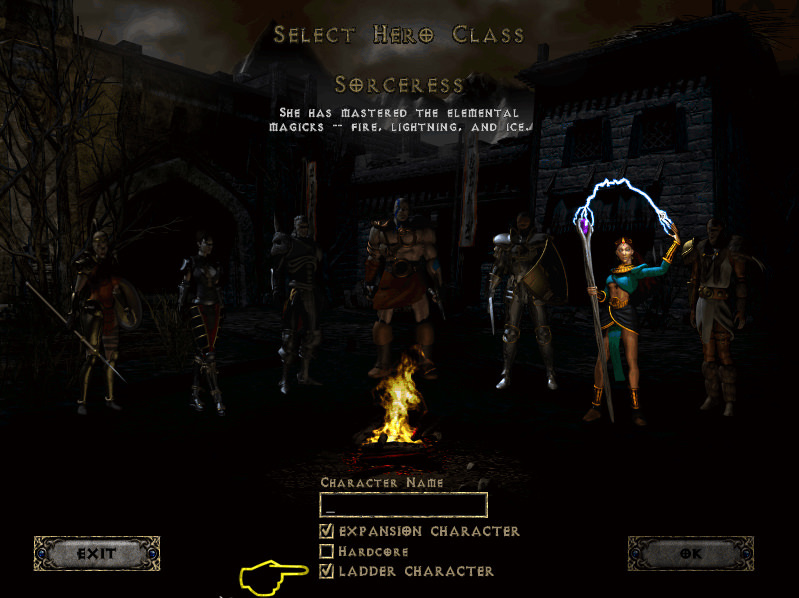 To participate, you will need to create a new character and select the "Ladder Character" checkbox. The new season awaits you! All old characters have been converted to non-ladder. More information about the differences between ladder and the non-ladder characters can be read here. Keep in mind that vast majority plays ladder! Sharpen your axes and restring your bows ... Season 7 is coming. 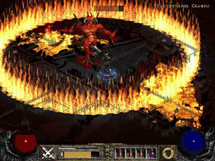 On the morning of Friday, April 13th, we’ll be conducting a maintenance in order to reset the Diablo II ladder. The realm will be unavailable for a few minutes and during this time all existing ladder characters will be converted to non-ladder. All characters and items being converted to non-ladder will remain intact so they will not be lost, but once converted these characters will no longer have access to ladder content such as ladder-only rune words. 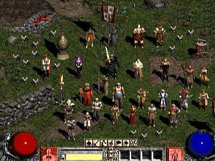 To play in the new season simply wait until the Diablo II realms return to service on April 13th, log in to the server, and select the “Ladder Character” checkbox when creating a new character. 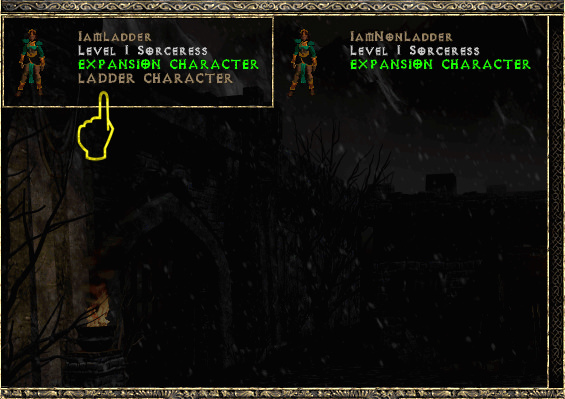 You can track ladder character leveling progress by clicking on the Ladder button from the main Diablo II in-game interface. Let all your friends know about the ladder reset, share it on facebook, vk, reddit, gaming forums, etc and let's establish a new record of online players. [01.01.2018] Happy 13 Years Online! It was thirteen years ago and this time of the year, 1st of January 2005, that a strong gaming community was born and today we'd like to wish a Happy 13th anniversary to our entire community and say thanks to everyone that has joined us so far! Founded by a dedicated team with a mutual goal - to forge the best gaming servers and serve a community who appreciates it. We are proud to know that through many challenges, we kept our promise of delivering a solid, high-performance, advanced and constantly improved gaming experience for everyone. We are happy to say that a long road is behind us and even more happy to say an even longer one is ahead. Times, such as these, are very special for us and are an opportunity for to celebrate the fruits of our hard work and lives dedicated to forging this outstanding gaming community. Special thanks to everyone that has supported the server to date with ranks and other purchases. You guys are the ones who made it all possible and it's so rewarding to see you guys enjoy the things we have to offer. Big thanks to our volunteers (moderators, staff members, helpers, legends, players who make guides, etc) who dedicate their time towards making the server a better place. You guys are so important for us to make this gaming experience as great as it can be. As always, we strive to deliver you guys the best possible gaming experience and we will continue to do so. Thank you immensely for your dedication and loyalty. Raise your glasses friends and grab a piece of our birthday cake.